Raja The Great is an upcoming Telugu film written and directed by Anil Ravipudi. It features Ravi Teja and Mehreen Pirzada in the lead roles. Ravi Teja plays a blind man, and the teaser of the film was released very recently. 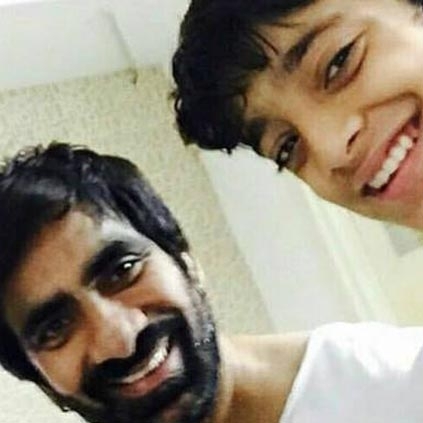 What is even more exciting to know is that Ravi Teja's son Mahadhan Bhupatiraju would be making his debut as a child artiste in Raja The Great. He would supposedly be playing Ravi Teja's younger version in the movie. People looking for online information on Ravi Teja will find this news story useful.